Joseph H. Stinson, age 64, a Moon Township resident since 1996, passed away unexpectedly and peacefully in the comfort of his home on Thursday, October 18, 2018. 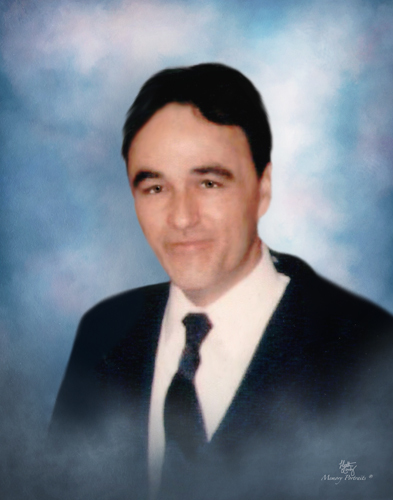 Joseph, born in Rochester on December 30, 1953, was one of seven born to the late Jay C. and Ruth (Watson) Stinson, Sr. Beloved husband to Karlene (Broquist) Stinson whom he married on December 18, 1995; loving father of Christine (Shawn) Lorah of Moon Township; cherished step father of Sterling Schannach of Arizona; and loved and raised like his son, Ken Gray of Crescent; proud grandfather of James Borland and Alyssa Lorah; brother of Virginia “Ginny” (Anthony “Tony”) D’Ambrosio of VA, Jay C. (Rose) Stinson, Jr. of Midland, Hattie (Ernie) Potts of FL, Florence “Flo” (J.D.) Martin of IN, and Mary Stinson of IN. In addition to his parents, he was preceded in death by his brother Tom and his cherished dogs that loved him unconditionally, Keia, Jett, Sandy and Maddie. Joseph was a former machinist for Horix Manufacturing in McKees Rocks. Like most in this area, Joseph enjoyed football and his favorite Steelers. Joe was also known to enjoy a good cup of coffee and a cigarette. He was a high scorer in Candy Crush and an expert at video games. Joseph, a self-taught handy man, could fix anything. Both he and his wife loved staying busy on their 22 acres cutting the grass, walking the dogs and just being together. Joseph was always there when you needed him and was willing to help others. His unexpected death leaves us so numb and reeling with overwhelming sadness. Visitation Monday 2-4, 6-8 at Copeland’s Moon Township, 981 Brodhead Rd. where service will be held on Tuesday at 1 PM. Burial will be private at Economy Cemetery. In lieu of flowers, family suggests donations in his name to Animal Friends.